Annual pass specific to the monument: $30.00, good for twelve months from the date of purchase. Non-Commercial Organized Groups: $7.00 - per individual 16 and older - receipt valid for 7 days. Entrance fees are not charged to persons under 16 years of age or holders of the America the Beautiful-The National Parks and Federal Recreational Annual, Senior, Access, Military, or Volunteer Passes. most tourists in Northeast New Mexico. Drive 58 miles west of Clayton on Hwy 64 and 87 to the town of Capulin, then three miles north on Hwy 325 to Capulin Volcano National Monument. Stop at the Welcome Center for information, a bookstore and to see the interpretative exhibits and a short film on the history of the volcano and the surrounding area. The park has picnic areas at the western base of the volcano with water and modern restrooms. A handicap accessible, 400-foot trail runs behind the center, describing plants and volcanic activity. The star of this show is the volcano, so drive a winding, two-mile road to the top, climbing 1,000 feet from the valley floor. From 8,182 feet, on a clear day, visitors can see the five states of New Mexico, Colorado, Kansas, Oklahoma and Texas. 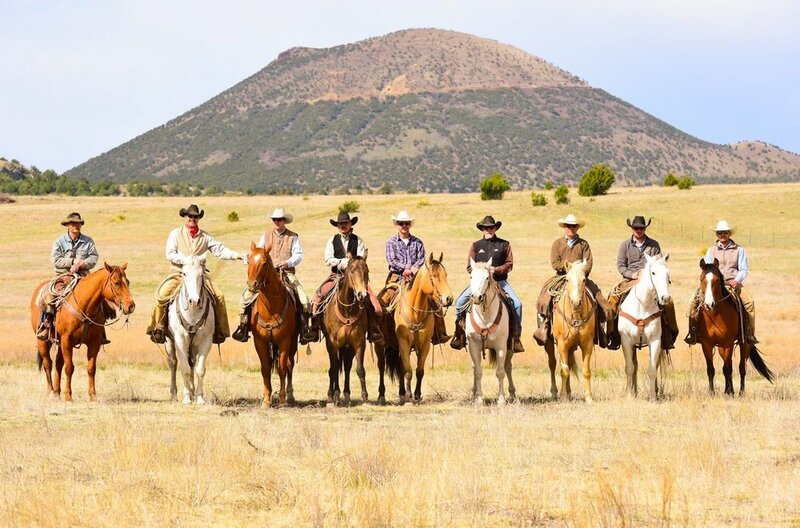 Capulin Volcano was active 60,000 years ago and is one of many dormant volcanoes in Northeast New Mexico, a fact that becomes clear against the breathtaking backdrop of other dormant volcanoes in the surrounding Raton-Clayton volcanic field, mountain ranges, mesas and valleys. On the south and east sides of the crater loom the vast portion of land through which the Cimarron Cutoff of the Santa Fe Trail passed. Two nature trails are on the top of Capulin. The Crater Rim Trail is a one- mile-long, self-guiding path that roams the rim of the crater. The second trail journeys 0.2 miles to the vent at the bottom of the crater for an unusual opportunity to see the inside of a volcano. The variety and abundance of vegetation on the mountain lend a special beauty. The volcano is part forest of pinon pine, ponderosa pine and juniper. During late spring and early summer, wildflowers present a colorful mosaic among the cinders and other vegetation. Also in spring, birdwatchers may find songbirds, such as bluebirds, warblers, black-headed grosbeaks, chipping sparrows and gold finches can be spotted along the drive to the top and throughout the park. Become acquainted with some of the plant and animal life by walking Capulin's trails. It's not often possible to walk so brazenly in a volcano! Summer Schedule: Capulin Volcano National Monument offers a variety of activities for the summer visitor. With nearly five miles of hiking trails, visitors can experience a varied landscape-see the Rocky Mountains or Capulin's very own lava flow. Stop by the Visitor Center and check out the park film or pick up a brochure before heading to the rim. Junior Ranger activity books are also available at the front desk upon request for younger guests. Interpretive programs and demonstrations covering a range of topics are offered daily at 10:00am and 2:30pm and by special arrangement by contacting Park Ranger Lynn Cartmell at (575) 278-2201.